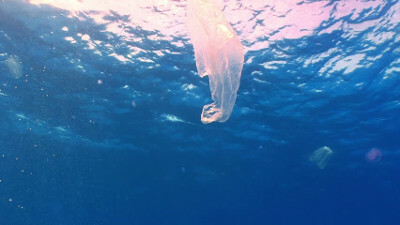 Plastic and floating debris in the ocean are a major threat for the ocean life and more generally for the whole planet and its inhabitants. A first study has been conducted for the whole mediterranean basin, using the numerical configuration NEMO-MED12 at 1/12 of a degree for the horizontal resolution. This work has been conducted during the PhD of J.Mansui, that A. Molcard and myself have supervised. For this study, the approach has been mainly numerical, due to the evident lack of observations at the scale of the mediterranean basin. However, the study has been completed with numerous but scattered observations to validate and confirm the results obtained. Most of the information about the numerical experiment can be found in J. Mansui's PhD and associated articles (see bottom of the page). The figure below is a simplified version of the results obtained : at large scale, no permanent areas of debris concentrations have been found, but 3 zones (A,B and C on the figure below) have been identified as potential zones of accumulation, always restricted in time (around 3 months) due to the important variability of the circulation throughout the year. In addition, some exposed zones for debris stranding have been identified (red coast lines). J.Mansuy Ph.D can be downloaded here . 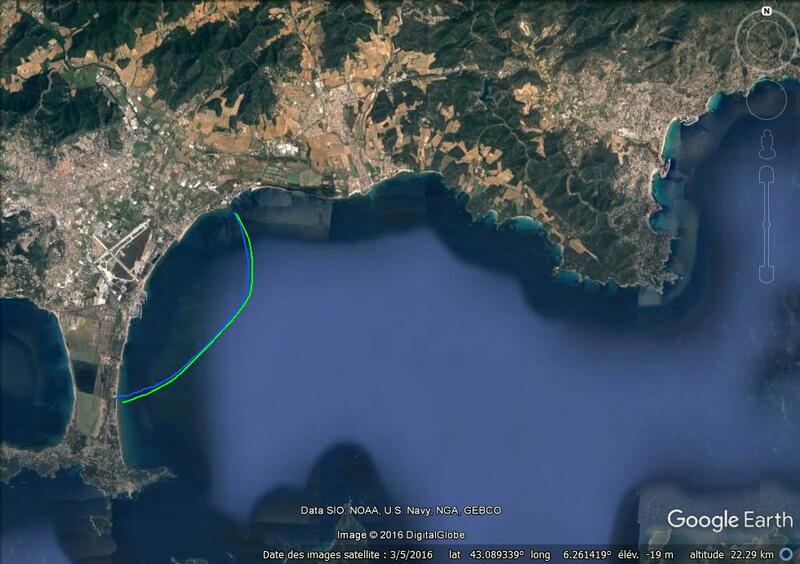 This first work has then been continued, following a downscaling methodology, in order to get information on the floating debris transport at different scales, from the large scale (study above) to the regional scale and the coastal scale (below). 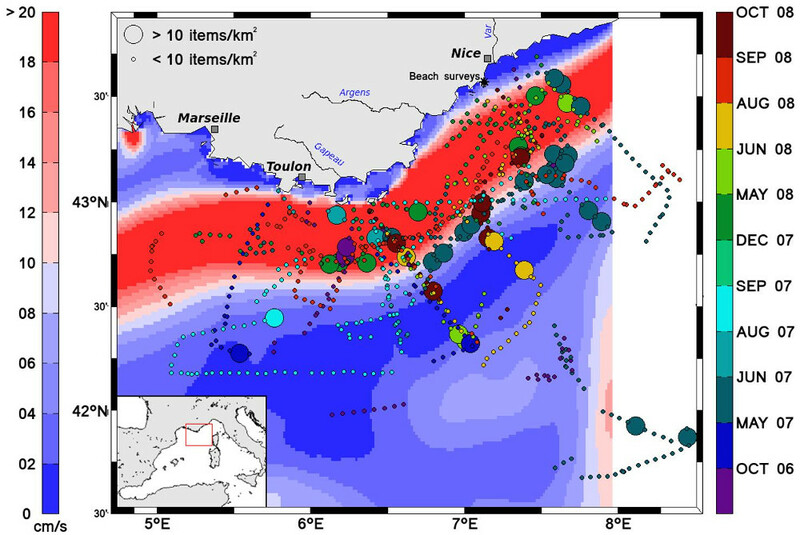 Map of floating marine litter distribution observed along the French Riviera during the EcoOcean cruises (October 2006 - October 2008). Coloured circles mark the positions and dates of shipboard surveys. Debris densities are broken down in two categories in order to highlight the position of high values: low densities (less than 10 items/km2, small circles) and high densities (more than 10 items/km2, large circles). The NC general path was determined from GLAZUR64 surface mean velocity fields. For the work and the experiment at coastal scale, see the CADOR project. More recently, I have joined the scientific team of the 7e continent expedition . The main scientific goal is to sample plastic, micro-plastic to nano-plastic at the sea surface and in the water column to assess its worldwide distibution and also to understand the fate of the passive material on the vertical axis (vertical dynamics). The next mission should be in the South Atlantic Basin, and the aim will be to track cyclonic and anticyclonic meso-scale eddies to sample their plastic content at the surface and water column. The figure below shows, for a zoom of the targeted area, the sea surface height (SSH) during 2016 , modeled by a global NEMO configuration at 1/12 fo a degree, developped by Mercator-Ocean .